Our In-Home Dog Training Programs Set Your Dog Up for Success! 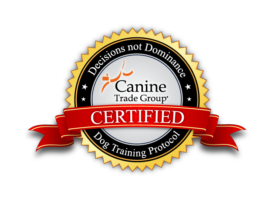 John Van Olden specializes in dog training that takes in the comfort of your own home. Consisting of private, one-on-one training sessions with John, our in-home training programs are results-based and catered to your dog’s requirements and goals. Regardless of your dog’s problems, we always commence training in the comfort of your own home. As your dog begins to understand the new skills that we teach them, we then carefully take the sessions outside. This way, we can see how she/he will respond to all of the different types of distractions that exist–such as cars, people, other dogs and even weather conditions. Once we can see how the dog reacts, we are able to devise solutions for each. What types of dog behavior problems are ideal for in-home dog training? How does in-home dog training enable your dog to alleviate his/her behavior problems? In general, there are many different circumstances that can affect dog behavior. Many people see their dog acting unusually in one form or another and call it “quirky”. They realize that the dog needs help to solve the issues, but to many don’t make it a priority. Or when they do finally contact us, they only want to focus on one of their dog’s problems, which does not normally work. To properly train a dog, you have to deal with every aspect of the animal’s personality and demeanor to get results that will last for the life of the canine. Each one of our dog training programs with John begin with a no-obligation behavior consultation. When John arrives at your home, he will appraise your dog and explore all of the things that might possibly be influencing his/her behavior. This includes his/her rapport with you, the dog’s daily routine, and much more. As John puts together the puzzle of your dog’s overall behavior, he will meticulously explain the contribution that each variable makes. If you’re interested in learning more about our in-home dog training programs, please give John Van Olden a call at 800.649.7297, or fill out our contact form. We would love to talk with you!